If you happen to be seeking for Turks Caicos Islands Pools, it's superior to know a lot of of them belong to gyms or sports centers which also offer lessons. Get informed by calling the premises. The ideal choice throughout your visit to Turks Caicos Islands will probably be droping by a Turks Caicos Islands Swimming Pool. For Turks Caicos Islands and its vicinity, we're showing you all the registered pools, some of them have no GPS coordinates and can't be found on the map at the map. Please use the contact information supplied at every single pool profile to check if they're offering aquagym lessons, because is just not so widespread to find out an Aquagym in Turks Caicos Islands. There are often discounts readily available to senior citizens and smaller children for independent swim. 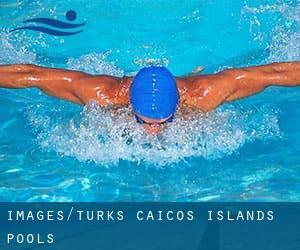 Find out by contacting your nearest pool among these Turks Caicos Islands Pools. We possibly do not know all the Pools in Turks Caicos Islands. Are you missing any? Contact us!. One from the advantages of outdoor swimming in Turks Caicos Islands would be the possibility to sunbathe for the duration of the summer season. Taking it with extra care, sunbathing is wholesome because introduces Vitamin D into the body, so the best option seems to be switching between indoor and outdoor pools depending on the season. Swimming is really a excellent idea to keep your body active for the duration of your visit to Cockburn Town (Turks Caicos Islands), or even if you are a local. Swimia helps you to find your closest Pool in Cockburn Town. Off Grace Bay Road , Grace Bay , Providenciales , TURKS AND CAICOS. Among all the activities provided by the center, if you are interested in swimming you may get pleasure from ~24 meters, 5 lanes, Outdoors. Just in case you need to contact this Pool before dropping by, we only know the phone number. Updated on 2019 Grace Bay Road , Grace Bay , Providenciales , TURKS AND CAICOS. Among all the activities offered by the center, when you are thinking about swimming you may appreciate 50 feet, Outdoors. Just in case you need to contact this Swimming Pool before dropping by, we only know the phone number. Grace Bay Road , Grace Bay , Providenciales , TURKS AND CAICOS. Swimmers like you reported ~30 meters, Outdoors. Unfortunately we do not have the email address of this Swimming Pool, but we can give you the phone number.